Get the facts about contraceptive implants, including how they work, the benefits and risks, and what types of doctors implant them. Endometriosis Facts about endometriosis, including symptoms. IUD Types, risks & benefits of intrauterine devices (IUD) for protection. Infertility Facts about infertility, including the risk factors and causes. Menorrhagia Get the facts about menorrhagia, including the causes, symptoms, and doctors who treat it. Migraine Facts about migraine headaches and different types of migraines. Dr. Douglas K Moore, MD is a Doctor primarily located in Fishers, IN. He has 44 years of experience. His specialties include Obstetrics and Gynecology. He speaks English. Dr. Moore has received 4 awards. The overall average patient rating of Dr. Douglas K Moore is Great. Dr. Douglas K Moore has been rated by 9 patients. From those 9 patients 2 of those left a comment along with their rating. The overall rating for Dr. Douglas K Moore is 3.7 of 5.0 stars. 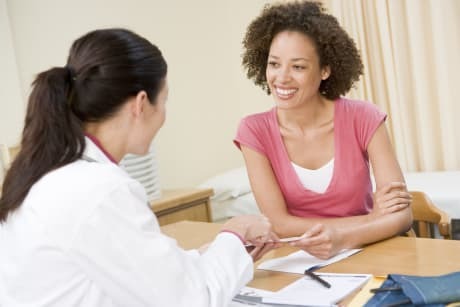 An obstetrician & gynecologist, or OB/GYN, is a physician who cares for women throughout their pregnancies, straight through to the delivery of their baby (obstetrician). They also specialize in annual care, as well as the diagnosis and treatment of disorders of the female reproductive system (gynecologist). Many physicians specialize in both of these fields in order to provide complete overall health services to women at every stage of life. I trust him with my life! Dr. Moore helped me through 1 miscarriage and 2 full term pregnancies and then was there for me when I was diagnosed with tumors that had to be removed. He is top in his field in my book! I have been seeing Dr. Moore for over 24 years, and I can't say enough about the man. Now my adult daughter goes to him, and I feel completely confident that she's in the best hands. Dr. Douglas K Moore is similar to the following 4 Doctors near Fishers, IN. Have you had a recent visit with Dr. Douglas K Moore? Select a star to let us know how it was.